Just like in my favorite Chinese restaurant, this Lee Kum Kee Soy Sauce Chicken hits the spot! It’s flavorful, aromatic, and has the most delicious sauces! If you’re fond of Chinese food, then I’m sure Soy Sauce Chicken is one of those on top of your list. 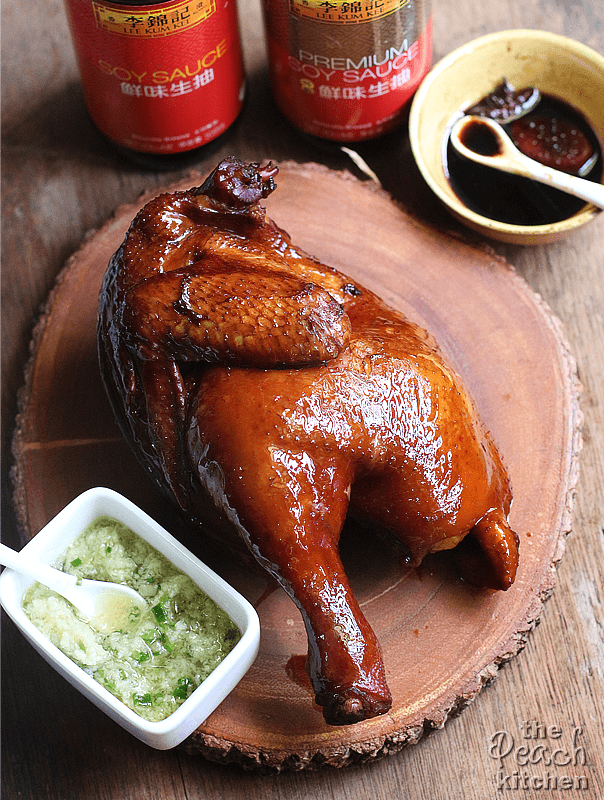 I mean, how can you not like it — it’s full of flavor, it has the most delicious sauces, and it practically calls out your name when you see it hanging from the restaurant window or the kitchen window of your favorite Chinese restaurant. If only somebody told me how easy it is to prepare this Soy Sauce Chicken at home, I would have done it years ago– and frequently too — and not wait until I can drop by our favorite Chinese restaurant whenever I have the craving. I recently discovered Lee Kum Kee Soy Sauce one day at the supermarket when I was buying oyster sauce. In all honesty, I am a fan of all things Lee Kum Kee especially the oyster sauce, sesame oil, hoisin sauce, chili garlic sauce, and the charsiu sauce. But somehow, I didn’t know they have soy sauce and good thing I discovered it too because it tastes really good — just perfect when you’re planning to cook something that has soy sauce as its main ingredient. The result was this nicely browned and rich Soy Sauce Chicken that is just fantastic when served with it’s braising sauce, Ginger Sauce and hot steaming rice. The recipe is below. It’s super easy to make. Thanks to Ykaie for helping in the kitchen and grating the ginger for the Ginger Sauce. 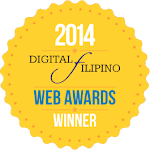 To know more about Lee Kum Kee Soy Sauce and other soy sauce, follow the Lee Kum Kee Philippines Facebook Page. That COLOUR is amazing, Peach. I am saving this to make..maybe with just some chicken wings. Wow, spectacular color! I’ll bet the flavor is, too! Terrific dish — thanks. yes, I love Chinese chicken preparations, have never tried them myself so thank you for sharing this, also good to know about the L.K.K. soy sauce! Yummy!! That chicken looks so delicious! Can’t wait to try this recipe. That looks so good! I absolutely love how crisp and dark the skin is. Nom nom nom. I think I need to make one of these for Christmas. I love how crispy it looks, and I think it would make such a unique dish for the table. I do hope you get to make it and like it too! We love Chinese food in our house and I love making it instead of getting take-out! I am adding your Soy Sauce Chicken to our must-make-soon list 🙂 Sounds delish!! This looks amazing! The pics definitely have me drooling. Yum, your soy sauce chicken looks delicious. How can you resist that gorgeous brown skin. There’s really no limit as to what you can do with chicken! This looks so good and festive as well, you can choose to serve it during the Holidays. I love how easy it is to cook! I have never heard of that soy sauce either! Can’t wait to try it with my homemade eggrolls! Thanks for sharing! Not only does this look delicious, it sounds delicious. I love experimenting with Asian cooking recipes. Can’t wait to try this out very soon. Thanks Cindy! I hope you like it. That chicken looks amazing–I really need to try out your recipe. I have a great version of fried rice but still haven’t come up with a great main dish to serve with it. This might be the winner. OMG we are chines lovers!!!! I cannot wait to try this!! This recipe looks really yummy. I used to not like Soy Sauce but have come to appreciate the flavor it can bring to recipes. I love their Oyster Sauce too! Thanks for sharing this complete recipe.. Hope I will achieve the same color and yummy taste of the chicken once I cook .. 🙂 ..
Wow this is looks fantastic and tempting! My family would love it for sure. Yummy! This would be perfect for Thanksgiving Dinner. Such a delicious recipe! We have actually been eating more chicken lately so this recipe will be prefect for us. I have never heard of Lee Kum Kee Soy Sauce before but it sounds like something I will have to try. 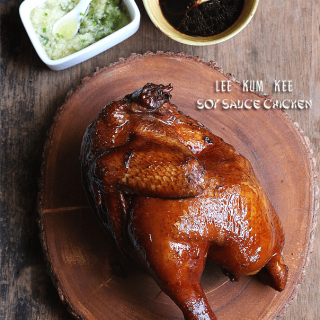 Thanks for sharing this delicious Lee Kum Kee Soy Sauce chicken recipe. I would love to use this sauce with quorn chicken pieces or fillets because it would really compliment the flavour. This looks amazing yum! This looks really yummy! 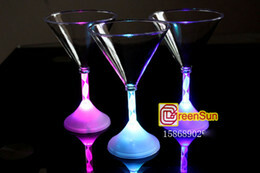 I will have to make this! Oh my goodness! That chicken has my mouth watering! Soy sauce is one of my favorite flavor enhancers! Oh my, that chicken looks so yummy and juicy! I have tried their premium soy sauce. I love the hint of sweetness in the soy sauce. Yum, my mouth is watering now. I had breakfast but I am already getting hungry again. I can’t wait to eat Turkey on Thursday. That looks delicious! I really enjoy trying new recipes and this looks easy enough and tasty! This looks amazing. I need to give it a try. I may just try it out for Thanksgiving this year. The turkey really looks so good. This looks soooo good! I must try it! Wow this looks really good. What an amazing way to enjoy chicken, I have to try this out! Looks super yummy! And an easy recipe! This looks like an amazing chicken recipe. I will have to get the ingredients I need to give this a try. This turned out amazing!!! I love the deep color you were able to get on your chicken, sounds amazing. Omg can we say yum?!?! I just love Asian inspired dishes!!! Must give this a try!!! This is certainly a hearty dish! My husband would really like this. Loving the sauce! Oo this looks so good! I love soy sauce so I know I’d like this! I’ve seen this soy sauce in asian grocery store and I really like the recipe you made for the chicken. It looks like it turned out super amazing. I’m going to pin this for later use. Looks really, really good. I think I would love it with some steamed white rice like you suggested! Yum! That chicken looks so moist and tasty. I can’t wait to give this a try! Thanks for the recipe. I can’t remember the last time I used Lee Kum Kee Soy Sauce. Bet that chicken is delish! Wish that soy sauce is available at the Asian store here. Thanks. I hope you can share with me a photo just in case you try to make it. That looks really good. I am craving some soy sauce now. Guess I will have to order some Chinese! I can’t wait to try this chicken recipe! It looks beautiful and tasty! I love Lee Kum Kee products! 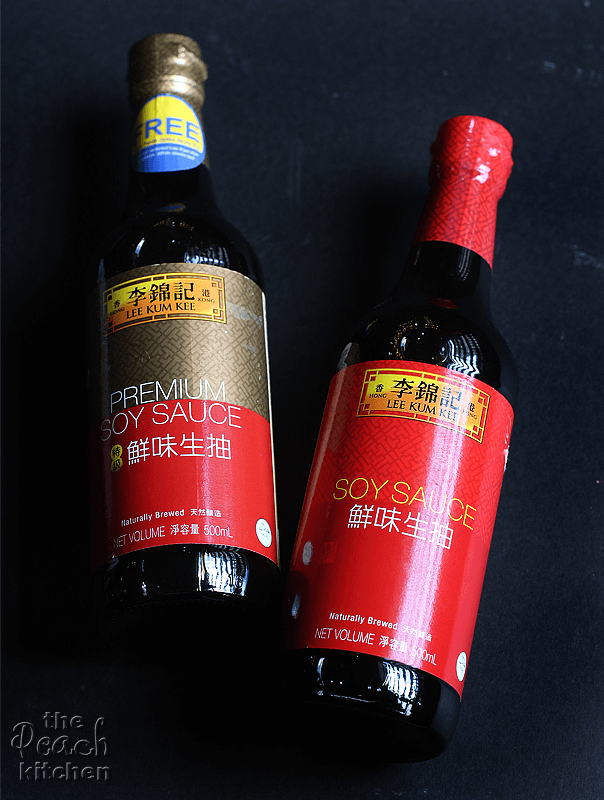 You wouldn’t think there’d be a huge differences in soy sauces, but there really is. Quality matters. I haven’t tried the lee kum kee bottled products but I love using their packet ones for cooking. Why you are oh so good in cooking?! hahaha really, I have been visiting your sites whenever I find a time and I love the recipes you share here. Also, your shots make it more engaging like I should give a try of this and that! I haven’t tried yet your recipes but I am planning, though particularly for my son’s baptismal. hoping to make it perfect the first try! I never try that soy sauce yet Sis though I used Silver Swan and the other Chinese soy sauce that I forget the name lol. I love Asian cuisine so this recipe is right up my alley. We always have Lee Kum Kee products in our house! 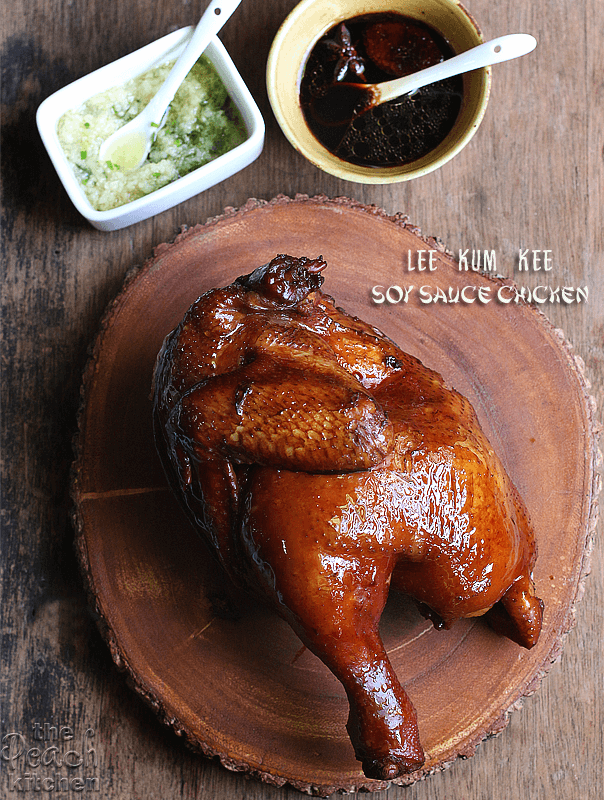 I have been a long-time user of Lee Kum Kee products and I’m excited to try this recipe. Wow this looks amazing! I would have never thought to cook a whole chicken like this. I will definitely to try this one day! My son loves chicken and I am sure he will love this too. I will try to cook this for him on weekends. yowza, this looks amazing. It’s on my list for next week’s menu. I hope I can wait that long! Oh yum! This looks and sounds so good. I think I’ll add this to our next meal plan for sure! Wow, this looks AMAZING! Thank you so much for posting this recipe!